Not just coming up with NEW creations for the blog, but simply posting stuff I'd done before my life got crazy last month. I was literally home 6 days in June. 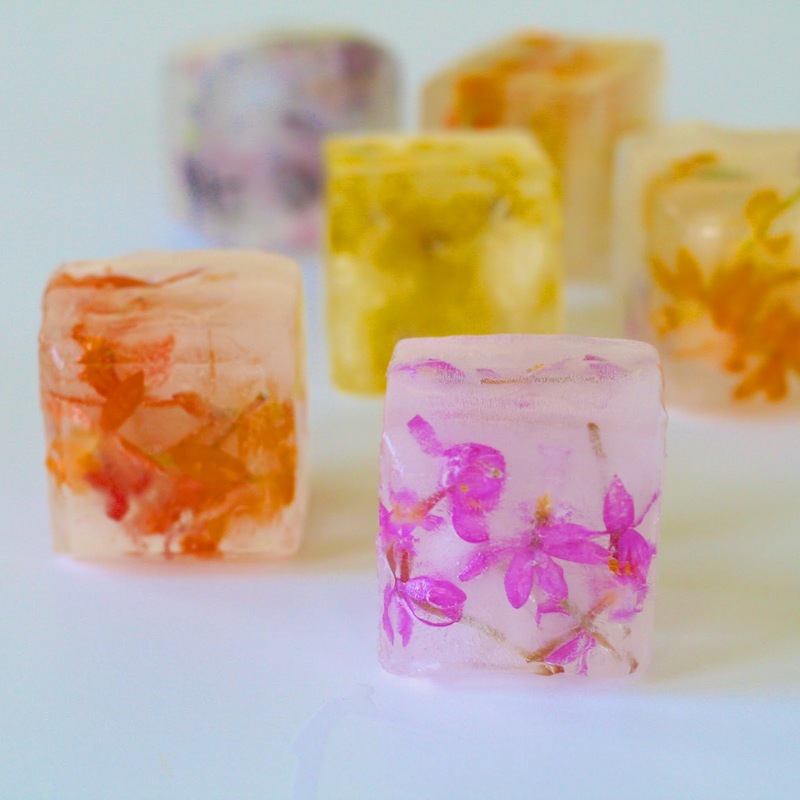 I made a couple of cool things for Tablespoon before I left, including the floral ice cubes and Boozy Strawberry Lemonade Bars (topped with spiked gelatin of course). 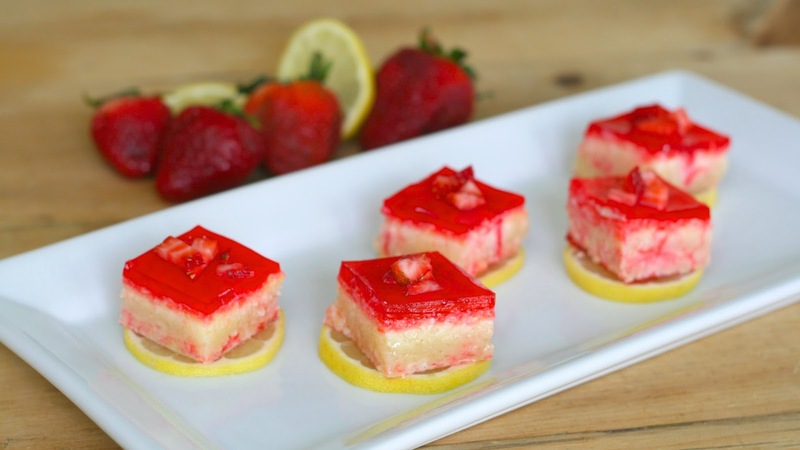 Both perfect for summer BBQs and get togethers (like... say, July 4th?) Enjoy!